INTELLIGENT COMPUTING Android google play Intelligent Trick Mobile tips 10 Android terms SuperUser Must to know! 10 Android terms SuperUser Must to know! Using android, than use it as super user, in this post I am going to cover some of the most used Tech term related to Super Android user and giving you brief introduction to them. Unlike other user, you would like to learn some of the amazing android terms for knowing and digging your Android and makes it work on your eyes. 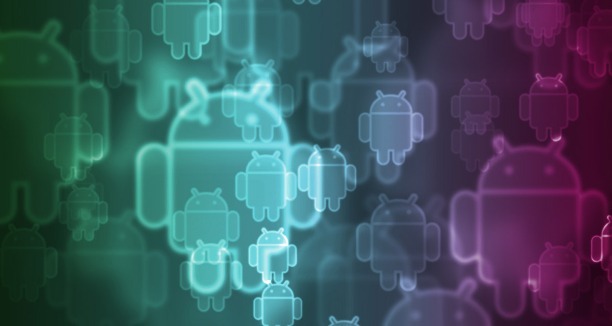 These android terms include the basics android terms, terms related to hardware of the android devices, terms related to software of android devices, and terms used to exploring the android devices. So here we go! Android OS is developed under the Google, it is basically a mobile OS developed on the strong frame of Linux/Unix kernel. This OS provide intraction between user and Android devices, whatever you see on your phone, UI/Menu/launcher/Applications, are working on platform which drive the work from the hardware by Device driver in it. Beside Android, iOS, Firefox OS, Ubuntu, and Windows are the example of OS (especially for Mobile). As the name implies, it is IC integrated on Mobile PCB which contain the booting information and Operating system file. Unlike Computer, Mobile OS and all its files resides in ROM not in external/secondary memory devices. Once user get the root permission, he’s able to replace or modify the content of RAM specially Android OS files. Like in Unix/Linux System, root is the super user of the System, this means it has full permission of hidden and critical system files. Rooting a phone means same, it enables use to work as the administrator with full permission on it. Once you rooted your phone, you can install more powerful and critical application/software on your phone. This is basically an app available on Android store/Google Play, this application allows you to backup your phone completely along with ROM content/Data/Applications. It means you can restore everything of your phone once you lost anything or say even if ROM/OS is not working properly. It will restore full image of your Android device, even if your ROM content is changed. Like Titanium backup, this is another great application available at www.unrevoked.com. This once click application is very well known to rooting almost all the popular HTC phones in no time. ROM manager is the application available on Android Store/Google Play. This allows you to modify or replace the content of ROM even install whole new OS on your Android phone. All your need to have a rooted phone along with the changes/modification you want to carry. Frequently came across the term Nandroid backup, this means having control on your system and taking customize backup of your phone including, data/apps/OS by creating and backup image of current state of your Android and restore it again anytime. ADB is mainly used for Software development basically but many people use to hack android devices. ADB allow to put new files on the Android System protected directory, but people misuse it by pushing some random/harmful codes in it. RADIO on android devices means the set of software deals with Call/SMS/Data and similar Connectivity like Bluetooth on your android phone. It is responsible for behavior and smartness of RADIO devices. Getting updated or latest RADIO on your Device let you work smartly with these devices and will save your battery to large scale. Flash is same as flash memory, it is small Solid state storage chip where all OS files like Android and ROM files resides. Flashing means Updating the OS files of your Mobile device or Completely changing or Modifying it.